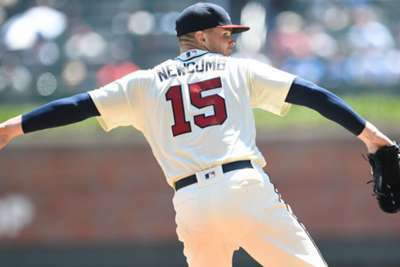 Atlanta Braves starting pitcher Sean Newcomb flirted with his first MLB career no-hitter against the Los Angeles Dodgers. 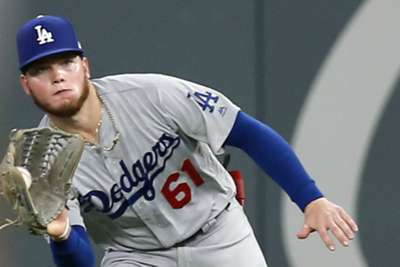 Newcomb had not allowed a hit with two outs in the ninth inning, but Chris Taylor connected on a single to ruin his bid in Atlanta's 4-1 win on Sunday. The 25-year-old was trying to become the fifth-youngest Braves pitcher to throw a no-hitter (25 years, 47 days). The last Braves pitcher this young to throw a no-hitter was George Davis on September 9 1914 (24 years, 184 days old). With Newcomb failing to complete his no-hit bid, the number of MLB no-hitters remained at 299, including the postseason. Newcomb ultimately allowed just one hit and one run in 8.6 innings, striking out eight batters while throwing 134 pitches. He is now 10-5 with a 3.23 ERA this season.